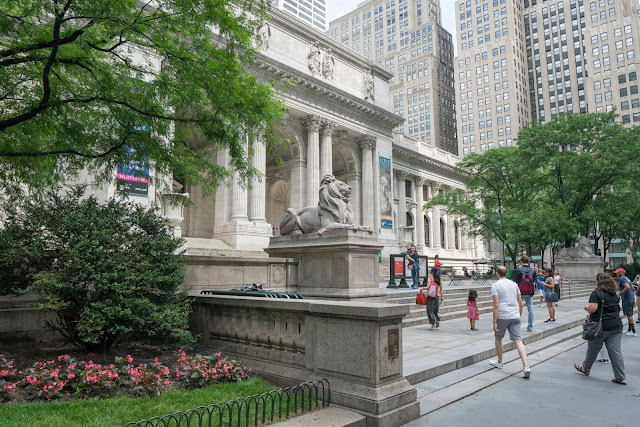 Knowledge is power, and libraries are temples in Frederick Wiseman's latest documentary, Ex Libris: The New York Public Library. There are few filmmakers working today as reliably great as Wiseman, who at 87 years old, is still making some of the most fascinating documentaries in contemporary cinema, each offering a probing and engaging look behind the scenes of their chosen subject. In Ex Libris, Wiseman tackles the New York Public Library system, exploring how they run, the programs they host, and the people who utilize their services. It's a fascinating cross section of America, where people from all walks of life converge in a quest for knowledge. Whether they are listening to guest speakers, expanding their minds, exploring contemporary issues in an intellectual forum, tracing their ancestry, or simply just trying to check out a mobile hotspot because they can't afford internet for their home. Here, everyone is equal. As one member of the library's board of directors points out, the library is the one place in New York where people don't avoid the homeless. Here, everyone is the same. A documentary about a library that's longer than Titanic is never going to be a major hit. But what Wiseman achieves here is both beautiful and extraordinary. His keenly observant eye captures a microcosm of America, wherein everyone seeking to broaden their minds finds themselves on an equal plane with their fellow patrons. Ex Libris displays a profound love of facts and knowledge, something we need now more than ever. But deeper than that, it enters into a broader discussion about a venerable institution fighting to stay relevant in ever changing times. Whether they are expanding their e-book selection, or seeking to digitize their entire collection in an effort to open up access to the vastness of human knowledge to a wider audience, the New York Public Library's dedication to learning, even in the face of adversity, is incredible. Wiseman also shows us the differences in the library branches that serve the different communities. The branches in African American communities, for example, face different challenges than those in more affluent, white neighborhoods. And yet, these libraries, these bastions of learning and culture, become meeting grounds for communities looking to improve themselves, and find ways to make life better for themselves and their children. It is a reflection on inequality not just of the economic kind, but in access to services and knowledge as well, which keep depressed communities reliant on those with better resources. Reading is fundamental, as the old saying goes. In Ex Libris, it's absolutely essential. In a world gone digital, with facts and reality under constant attack, these institutions serve as one of the last remaining strongholds of what is real, proving that libraries are far from obsolete. In fact, they're more crucial now than they've ever been. 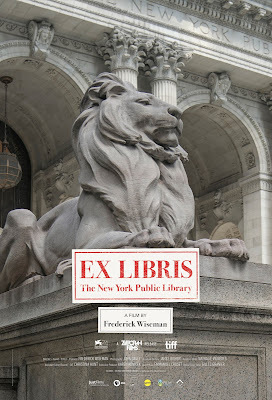 EX LIBRIS: THE NEW YORK PUBLIC LIBRARY | Directed by Frederick Wiseman | Not Rated | Now playing in select cities.